I decided to make myself a little sweet treat for Valentine's Day and pink meringue kisses seemed like the perfect choice. I like that they look like they're from the set of Sofia Coppola's Marie Antoinette! They're really easy to make and you only need a handful of ingredients. I've adapted Delia's guide to making meringues and am left with delectable little pink pillows! It's easier and quicker to use an electric whisk, but if you do use a hand whisk be prepared for achy arms! Preheat your oven to 150C/300F/Gas 2 and line a baking tray with baking paper. Separate your egg and place the egg white into a bowl that's big enough to whisk in. Whisk until stiff peaks are formed, but be careful not to overwhisk. (Tip for using up egg yolks here). Add in the sugar, one tablespoon at a time, whisking until all the sugar is combined and your mixture is glossy. Add in a little of your gel food colouring, you can always add more. Try using a cocktail stick to add small amounts if you're after a pastel colour as you have more control than adding out of the packaging. Once the food colouring is evenly distrubuted, spoon your mixture into a piping bag and pipe onto the baking tray in whatever shape you want. If you don't have a piping bag, you can just as easily spoon the mixture onto the tray. Turn the oven down to 140C/175F/Gas 1 and pop your tray of meringues in. After an hour, check that your meringues can be lifted from the paper with ease. If they still stick, they'll need a little longer. Once baked, turn off the oven and leave the meringues inside. They need to cool and dry out. Try not to eat them all at once! What treats did you get on Valentine's Day? These look gorgeous and really yummy! May have to make some myself, thanks! They look delicious! I'm very impressed, meringues can be so tricky! 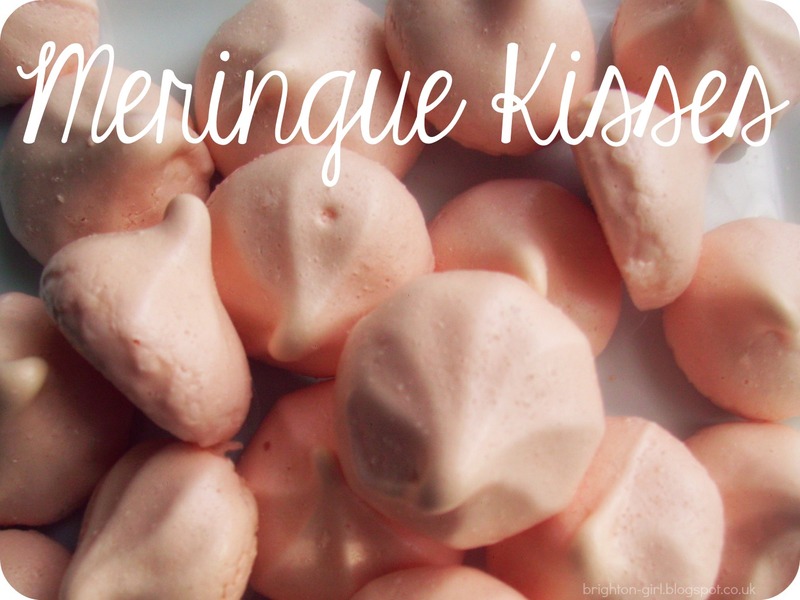 I love Meringues and these look so cute! I really want to try making this :) I think it would be very fun to make different shapes! 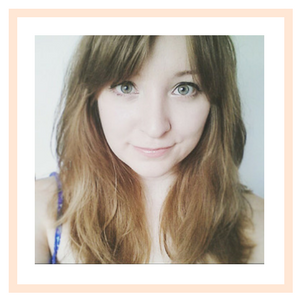 This looks such a lovely blog,I'm now following on GFC. I'v never made meringues and i love cooking/baking i will defiantly be having a go at making these. Oh these sound so delicious :) The perfect valentines treat!! Absolutely love this! They sounds delicious. Meringue's are my favourite things so being pink makes them even better. Definitely will be making a few of these when I next have a minute!